German brand Kanz stands for all of these things. 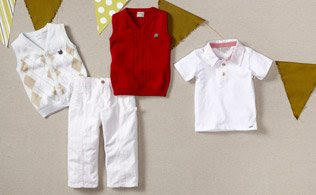 Here, a winning collection just right for baby boys. Sporty 3-piece knit sets. 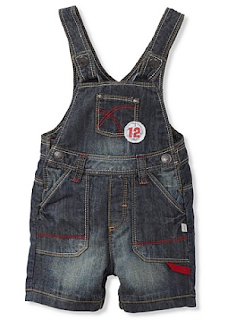 Adorable overalls. Always cozy striped rompers. He'll be cozy and happy for the rest of the summer.